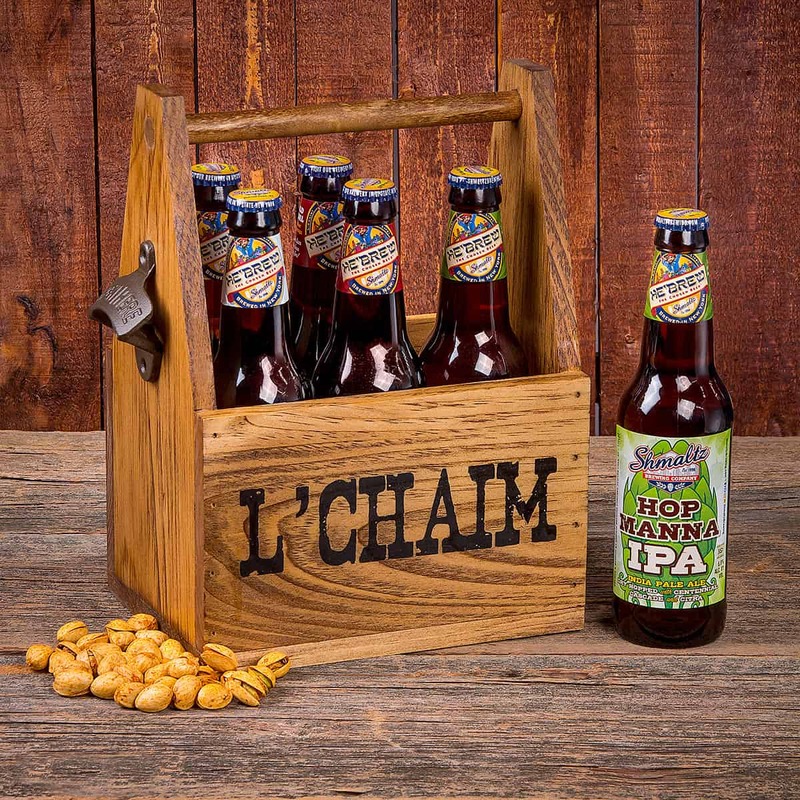 For an out of the box gift send our L’Chaim beer caddy complete with HeBrew craft beer by Shmaltz Brewing Co.
Made of oak stained pine slats, this caddy hugs beer and sodas snugly so you can transport your party in style. The convenient metal bottle opener on the side makes for great all-in-one appeal. Includes: Hop Manna India Pale Ale, Slingshot (David and Goliath) American Craft Lager, Messiah Nut Brown Ale and a full sack of spicy pistachios.